The Henegar Center is located at 625 E. New Haven Avenue, Melbourne, FL 32901. The box office is open from Monday through Friday, 1 pm to 5 pm and one hour prior to performances. To purchase tickets, please visit the box office or call 321-723-8698. After box office hours, please leave a voice message and we will return your call. 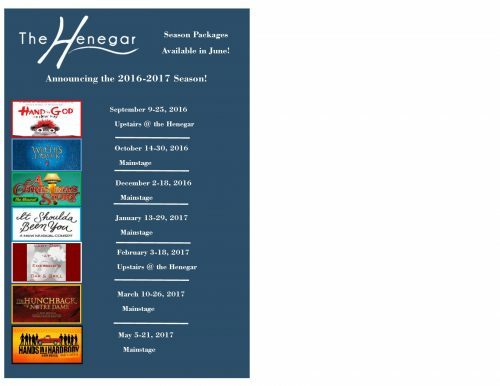 Tickets are also available online at www.henegar.org.